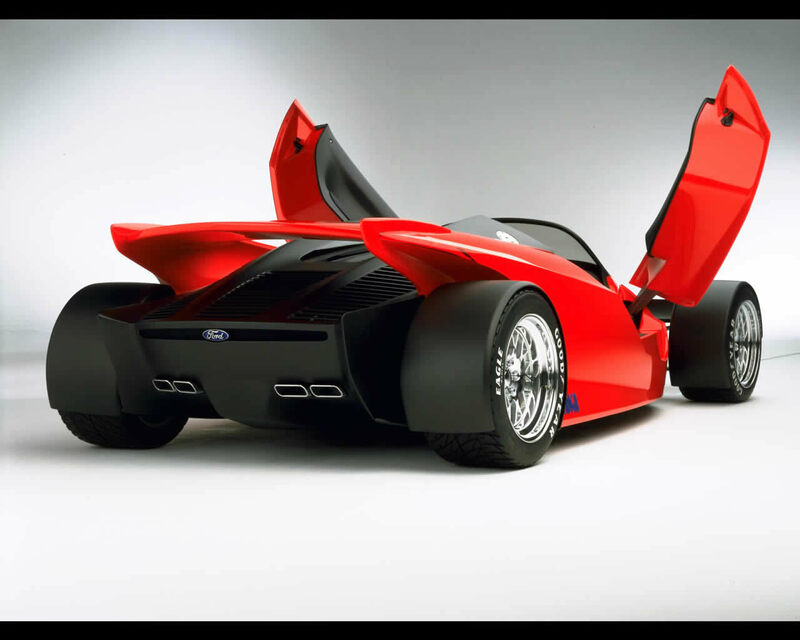 The Ford Indigo is a high performance, V-12 concept sports car that takes its design and technology inspiration from some of the fastest cars in the world, Indy car and Formula 1 racing cars. With over 260 Indy car triumphs -- including 17 Indianapolis 500 wins -- plus more than 200 Grand Prix victories and 13 constructor's world championships in Formula 1, Ford is the most successful manufacturer in the history of Indy car and Formula 1 motor racing. The Indigo combines Ford and primarily Indy car technologies and practices in the areas of materials, construction techniques, powertrain and aerodynamics to create a new dimension in driving excitement by bringing the thrill of the race track to the street. 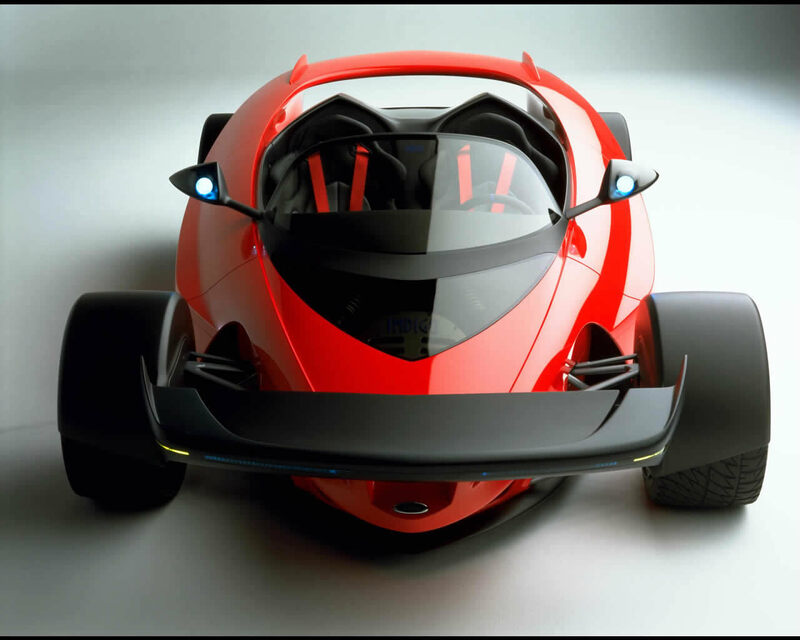 The "Go" derivative of the Indigo features a monocoque chassis which was designed and manufactured using current Indy car build practices. The chassis was developed in conjunction with Reynard Racing Cars, the UK-based specialist supplier and winner of the 1995 CART/PPG Indy Car World Series Constructor's Championship. The chassis consists of a specially designed central tub formed of a lightweight carbon fiber, aluminum honeycomb composite material. This monocoque chassis differs from a conventional chassis in that it is a one-piece, highly-efficient racing-inspired structure that both forms the Indigo's interior and has the front suspension and running gear attached to it. The front suspension -- Indy car-type double wishbones with pushrods operating inboard coil-over shock absorbers -- is fitted directly to the chassis tub. The rear suspension also features double wishbones with pushrods and inboard coil-over shock absorbers and locates directly to the transaxle. The Indigo is equipped with an V-12 engine developed by the Core & Advanced Powertrain Engineering team within Ford's Advanced Vehicle Technology group, the organization responsible for generating new technologies for future production vehicles. The V-12 is a 6.0-liter, four-cam, 48-valve, 60 degree engine which currently has an output of 435 hp (SAE net) at 6,100 rpm and 405 lbs-ft torque at 5,250 rpm. The engine is still undergoing development testing, but these are the expected final horsepower/torque levels when the engine is tuned to meet current and future projected emissions levels running through catalysts fitted to the stainless steel exhaust system. As powerful as the engine is, one of its main features is the abundance of low-end torque. 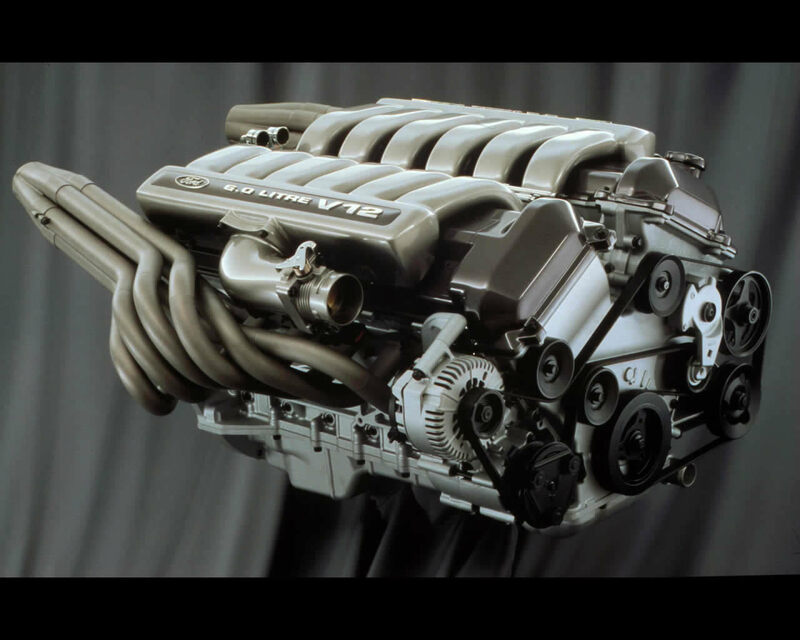 Approximately three-quarters of the V-12's maximum torque is available at just 1,000 rpm. The engine is also notable for its fuel efficiency and is expected to achieve over 28 mpg in normal highway driving. Dual spray fuel injectors -- single injectors for each cylinder that spray both intake ports at the same time -- are used in the V-12 and are similar to the components utilized in the last production Taurus SHO V-6 engine. Fuel is fed to the engine via pumps housed in the racing-style, bladder fuel cell. A dry sump system is also fitted to the engine to ensure consistent oil flow through the block. The Indigo utilizes a longitudinally-mounted, modified Reynard Indy car transaxle. This unit has six forward gears and a reverse, and features a racing-style, manually-operated carbon clutch. The forward gears are selected sequentially by a an electronic, hydraulic shifter. 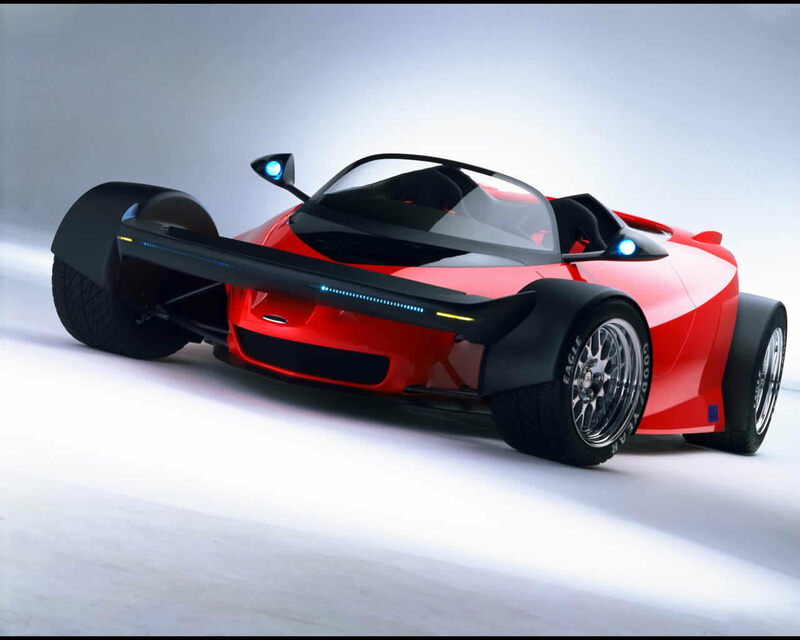 V-12's power reaches the ground via the Indy car-style Fikse three-piece modular wheels. Wheel sizes are 11.5 x 17-inch front and 12.5 x 18-inch rear, and have a five-bolt pattern instead of the more usual racing single center-lock design. The massive wheels are wrapped in special hand-cut Goodyear Eagle high performance racing tires, correlating to street-tire sizes of 335/30ZR-17 on the front and 355/35ZR-18 at the rear. Brembo 335 x 20 mm front and 355 x 20 mm rear disc brakes help to stop the Indigo in an estimated 100 feet in computer simulated 60 to 0 mph testing. 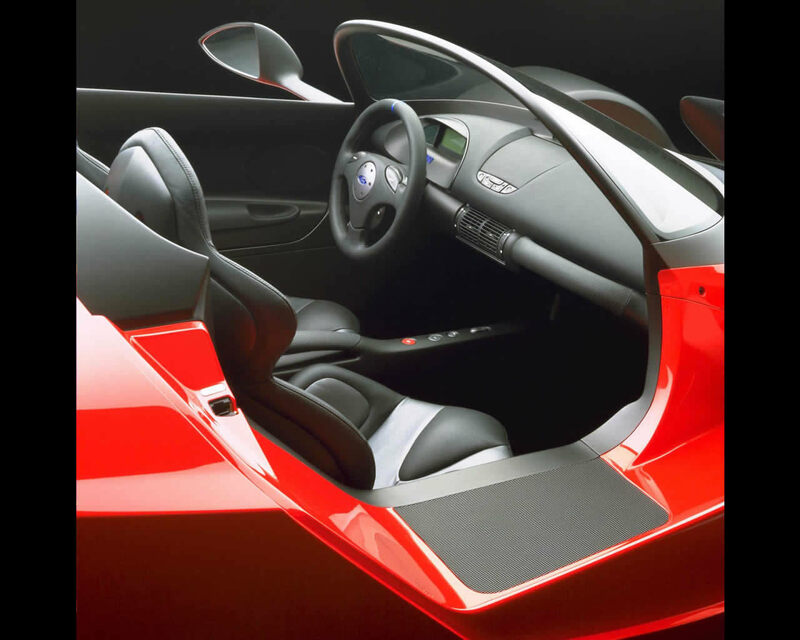 The interior of the Indigo is geared towards creating the racing car experience for the road. It consists of a black carbon fiber finish with some elements trimmed in black leather. An electronic, Indy car-style instrument cluster features gauges for engine rpm, gear position, a speedometer and engine temperature. A premium stereo radio with a mini disc changer are positioned in the center of the instrument panel. The leather-trimmed, power-operated, deep bucket seats jointly designed with Johnson Controls include four-point harnesses, with the lap belts integrated into the seat base. Usually, a four-point racing belt system would comprise of four separate belts which lock into a central buckle.